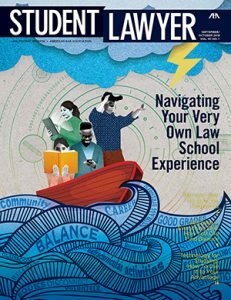 The issue of Student Lawyer takes to the stormy seas of your own personal choices on how to study in law school. 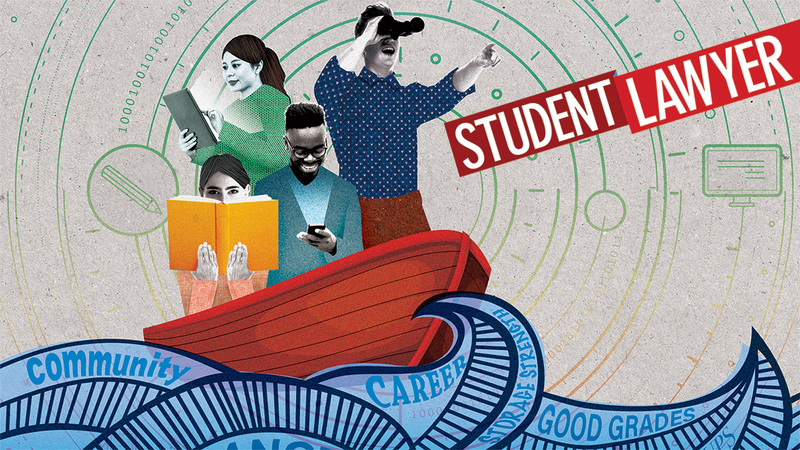 Experts weigh in on what works and doesn’t in studying and share their best advice for figuring out what will work for you. Studying is an inevitable—and grueling—part of being a law student. But thankfully, there’s a method to the madness. Experts say there are practical ways to determine your optimal study habits. Here’s what to know. Some law students rave about the numerous benefits of study groups— the intra-school networking that results from immediately creating a tight-knit cohort and the opportunity to work through challenges with other law students—while others want nothing to do the prospect of participating in a study group. Let’s face it, technology is everywhere. But you can use today’s tech to your advantage. We’ve compiled this small collection of tools that you may find helpful in law school. Unless you’re incredibly lucky, you’re going to face challenges and burdens during law school, along with unforeseeable circumstances, that will test your ability to succeed. Nobody can tell you the best way to handle stress because what works is unique to each individual. Elie Mystal writes: It’s called typecasting. It happens when you repeatedly get picked to do the same type of thing because the people doing the picking can see you in only one role. When they tell you that you can do “anything with a law degree,” they don’t tell you about typecasting. Law school is back in session—and for some of you, in session for the first time—and it’s a different kind of academic experience than most of us recall from undergrad. As you flip through the pages of this issue, focus on the tips and advice that will work best for you and implement them this semester. You’ve got this! Congratulations. You’ve made it to law school. What are you going to do now that you’re here? It’s the beginning of your first semester, which means you’re faced with the decision of how to spend your time—which student organizations to join, how much time to devote to studying, and what community activities to make space for. When Sam Schnarch isn’t doing what every other law student does—attempting to balance class and study time with a variety of student associations, law review, moot court, research projects, networking events, or other commitments—you’re likely to find the 2L at Lewis & Clark Law School in Portland, Ore., mentoring local high school students who don’t have the advantages so many others have today. For the past year, that one student speaking on behalf of more than 100,000 peers has been Sammy Chang. Chang, a 2018 graduate of University of California, Hastings College of Law, has grappled with questions that are paramount to our future as law students, from the introduction of the GRE as an applicable admissions test to the number of distance education credits law students are allowed to take. News from law schools across the country including a fitness workshop series, preventing sexual assault, a First Amendment clinic, and tracking contributions to prosecutors’ campaigns.